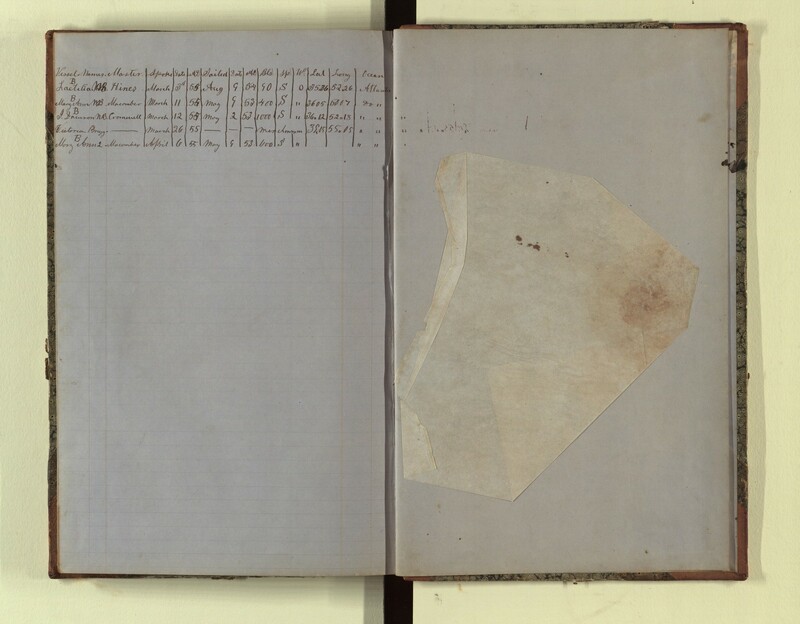 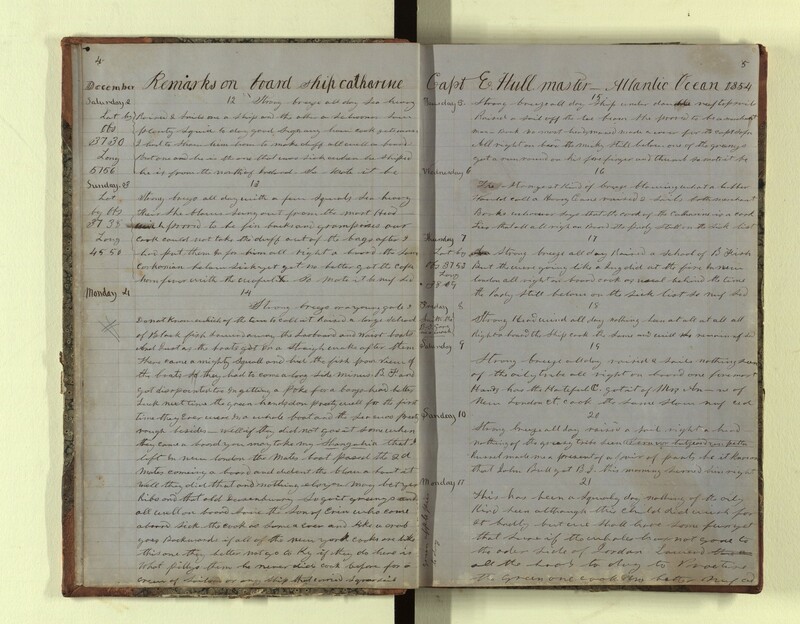 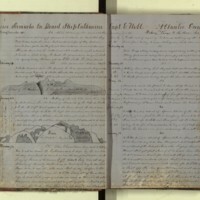 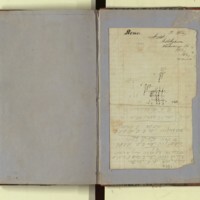 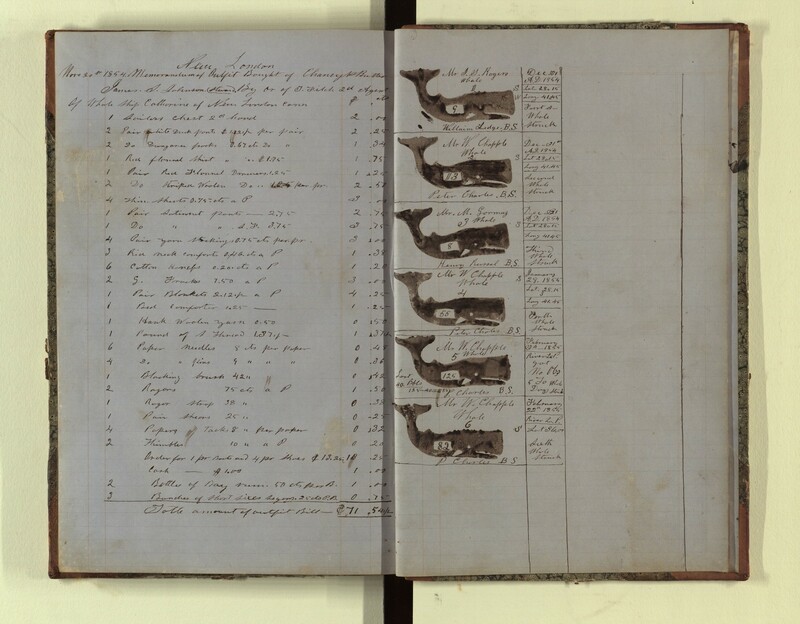 This log from a New London vessel (Elisha Hull, Master) was kept by James S. Johnson, Steward, who wrote thirty-five pages of entries dating from November 21, 1854 to May 21, 1855, and did some sketches. While not extensive, the logbook records this voyage to the Cape Verde Islands with a lively style. 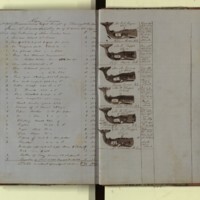 It was a relatively unsuccessful hunt, in that they only took six whales in six months. 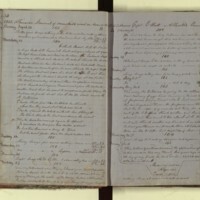 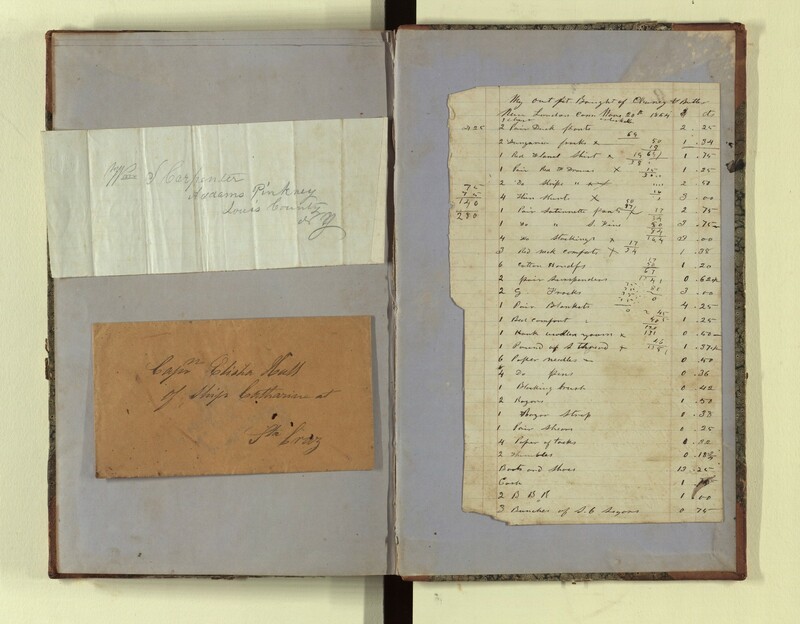 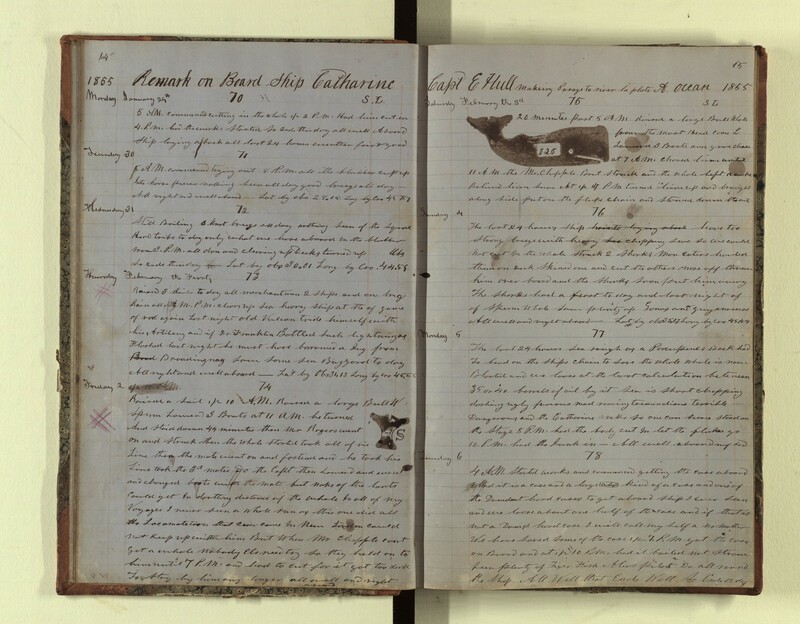 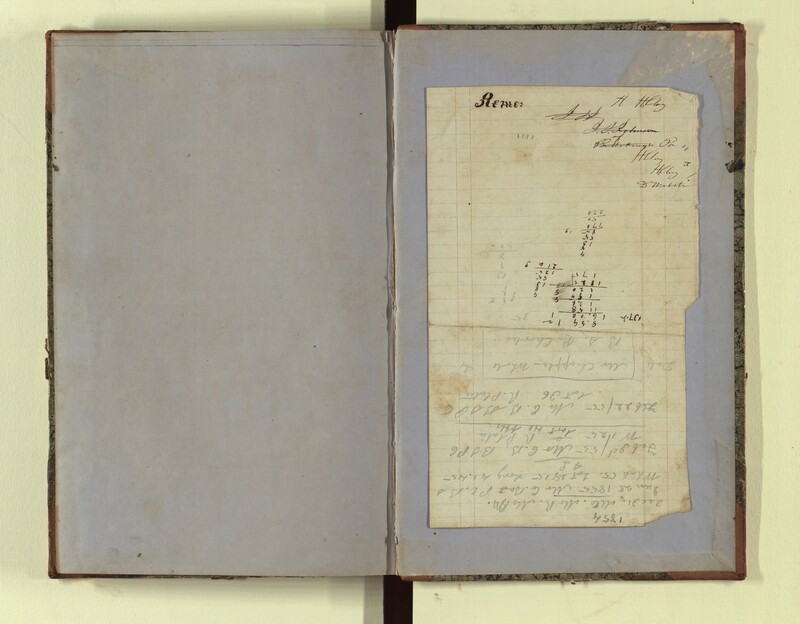 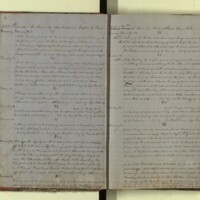 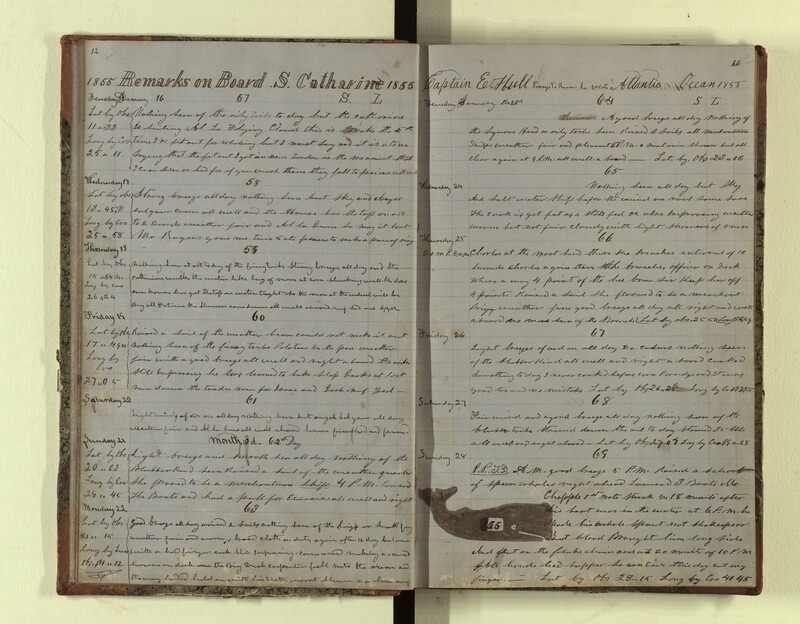 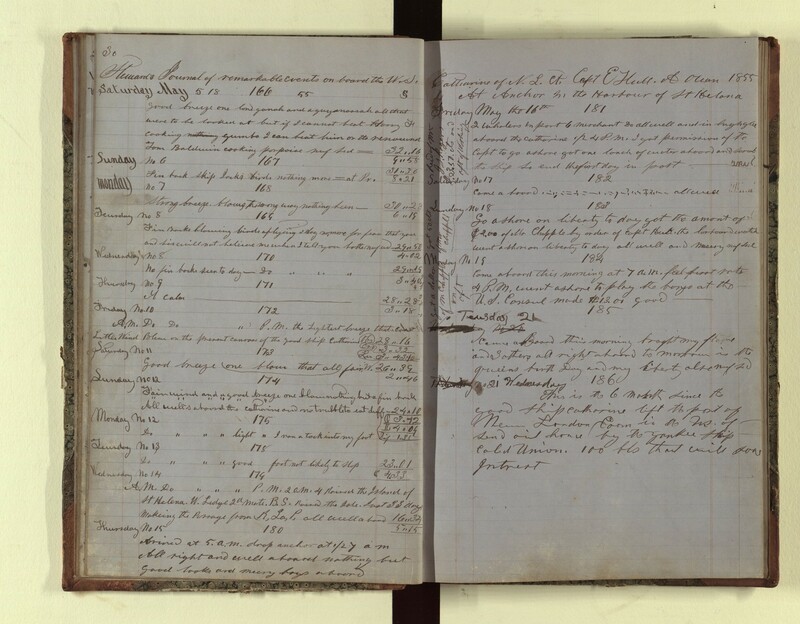 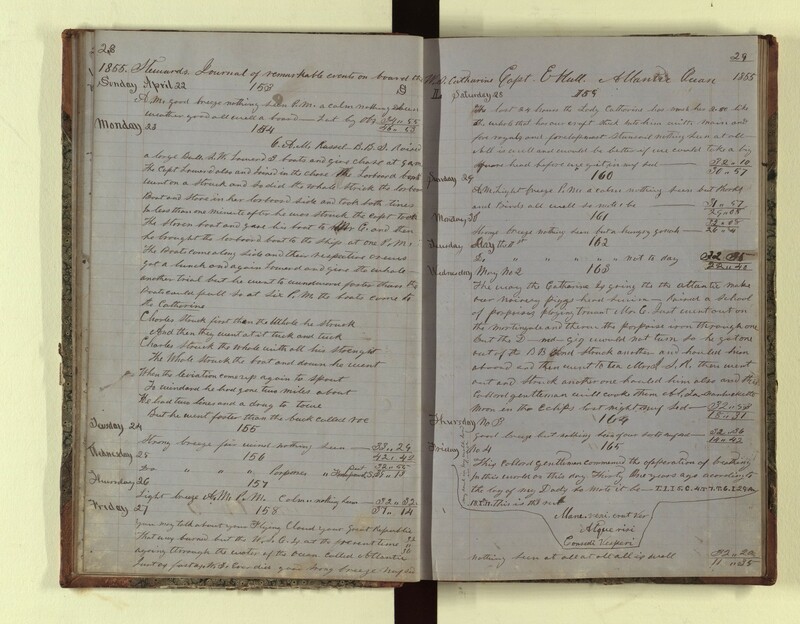 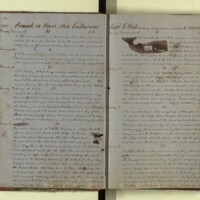 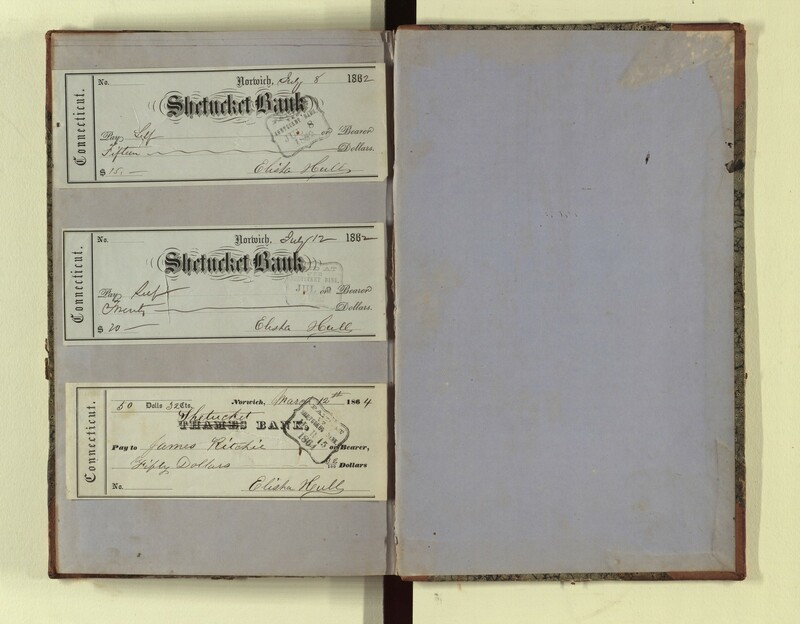 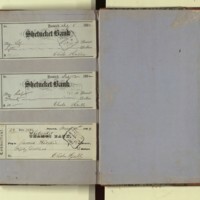 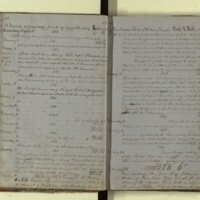 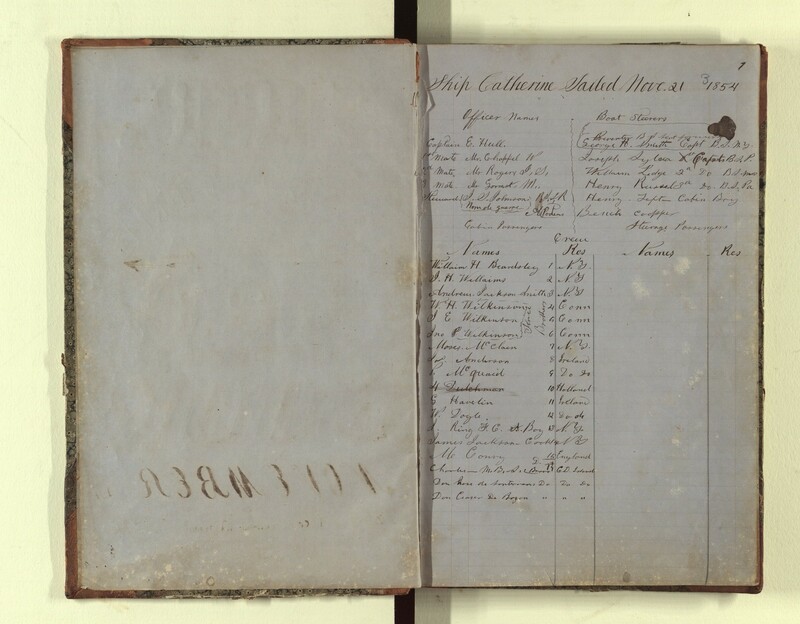 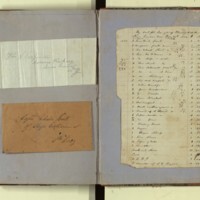 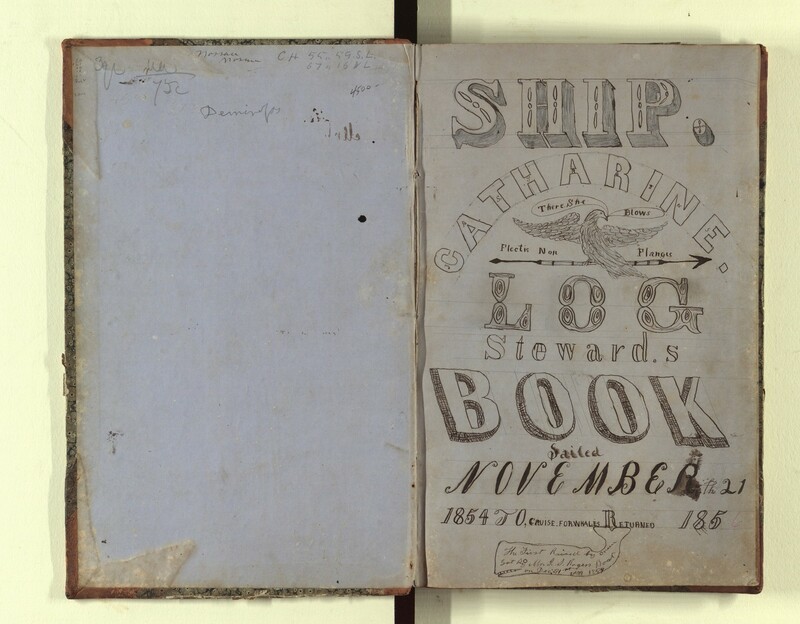 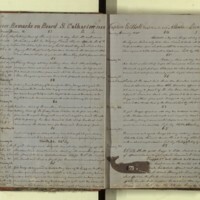 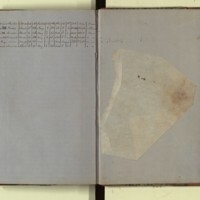 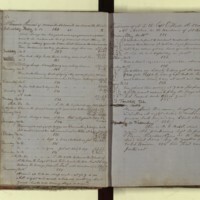 Johnson, James S., “Log of the Catherine, 1854-1856,” accessed April 19, 2019, http://pplspc.org/digital/items/show/10.